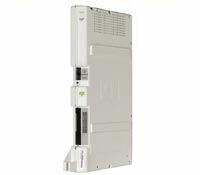 Expandable from 2-Ports to 4 or 6-Ports. Expands easily from 2 to 4 or 6-Ports for future growth and optimal performance. Easy Administration. Administer Partner Messaging R6.0 through a system display telephone (Partner 18D, Partner 34D) or through your LAN using a Windows based PC and easy to use administration software. Automated Attendant Service. Provides four Automated Attendants, each of which can answer different lines. You can create up to 99 announcements shared among all Automated Attendants. For example, you can offer callers a choice of a standard business hours/location announcement or a frequently updated announcement featuring special offers for your sales department and two other announcement choices for your service department (i.e. "Press 1 for sales...Press 2 for technical...etc."). Caller can choose between two languages. Submenu Service. Provides up to 99 submenus shared among all Automated Attendants for additional user selections. Dial By Name Directory. Users can easily locate the extension of their party with a dial by name directory. Call Answer Service. Prompts caller to leave a message or transfer to another extension or transfer to a personal operator when the called party does not answer. Voice Mail Service. Allows subscribers to listen to messages, delete messages, record a personal greeting, change their password, forward messages with comment to other mailboxes, set up outcalling to a list of pager and telephone numbers, listen to a caller leaving a message, create and send messages, create personal distribution lists, adjust playback volume while listening to messages, specify a personal operator, record a call (requires 4-port), auto copy, adjust message retrieval order, preview messages, change message status, return to previous message, heard last played message, speed up and slow down playback, designate phantom mailboxes, and specify messages as Priority, Private, or Return Request. Unified Messaging Application. Enables mailbox users to integrate and manage voice mail and email messages using their PC's email client. This application converts and delivers voicemail messages to an email server as an attached .WAV file. This also allows users to work with their voice mail messages remotely in an email environment. Mailbox Management Made Simple. Easily manage and administer your mailbox directly through a LAN connection and your PC's internet browser using Partner Messaging's messenger software. Night Service. Provides after-hours service in addition to daytime service. NOTE: Changing IP address on Partner Messaging R6.0 requires 355A/F Adapter. The Partner Messaging R6.0 is compatible with Partner Plus or Partner II systems release 3.1 or higher. It is also compatible Partner ACS Release 1.0 or higher.